Why Trek Iran's Highest Peak? We at the Life of Riley like a wild card and figured 8 intense days in Iran should fit the bill! What do you say to notching up some unique cultural insights where the guidebooks rarely go? The guys at Climb Big Mountains (no confusion there) rate their adventures in terms of Physical Difficulty, Technical Difficulty, and Culture Shock. This tour tops the scale on all three counts! Your guide is a sprightly chap called Daniel. He’s a journalist, photographer, part mountain goat and specialist in some of the most culturally challenging places on earth. His enthusiasm and expertise will keep you “pumping out the vertical meters”, as he casually puts it. Think like Rocky running those stairs! 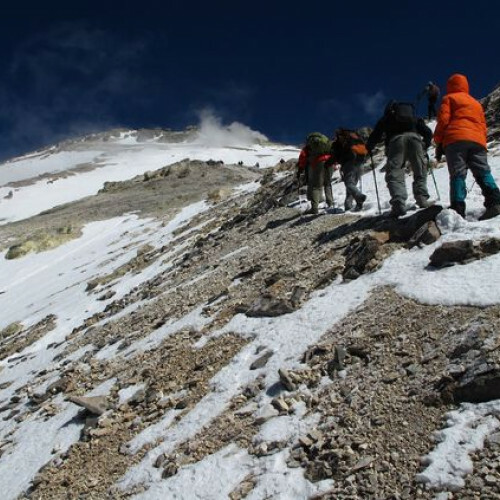 To get the blood pumping Mount Damavand presents 5,610 metres of wild terrain. It’s peak is your goal and you’ll have to acclimatise swiftly in preparation for a sunrise summit push, although we hope you’re not literally being pushed by Daniel! On your way to the top you’ll encounter towering golden-domed mosques, hardy local shepherds selling fresh goats cheese and a landscape steeped in Persian mythology and folklore. The descent requires real endurance but a natural thermal spa awaits your tired limbs, a treat from Mother Nature herself to reward your efforts. 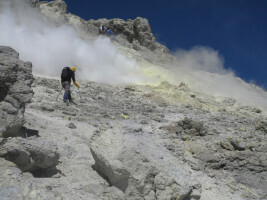 While your body absorbs precious minerals, the buzzing city of Tehran with its wonderfully hospitable inhabitants, will be awaiting your tall mountaineering tales. 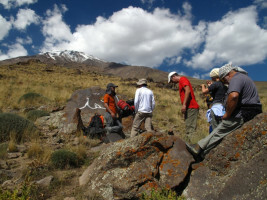 Iran cultural tour and intense mountaineering adventure. For the traveller seeking lesser visited frontiers. Learn about the challenging region from expert guides.